Are you a domestic or foreign tourist wondering where to spend the next vacation with beloved family members, close relatives and friend’s circuit? Manali India is one of the best destinations that make people visit again and again with a lot of perfection. This particular destination is one of the sought after tourist spot that is known for its scenic beauty and stunning climatic conditions. This place can be reached by roadways and from the nearest railway station and airport. There are plenty of luxury and budget hotels and lodges that really take care of your stay arrangements. They charge affordable and reasonable tariff that perfectly suits your short or long stay in this hill station to a great extent. They also offer special discounts and attractive offers during the peak and sleek period. You can have a great time at the popular destinations like Beas Kund, Club House, Zana/Jana Falls is located in Jana Village, Nehru Kund is located just 5 kms away on National Highway to Leh from Manali, Manikaran Gurudwara is located in the Parvati Valley near the Rivers Beas near Bhuntar, Jamula Temple is located in Malana, on the ay to Kasol from Manali, Solang Valley, Maa Sharvari Temple is located in Shaminallah village, Hidimba Temple is located in Dhoongri, Jogini Falls is located in Vashisht Village and its Vashisht Hot Springs, Kothi Village is situated just below Kalpa, Krishna Temple located at Thava, Gauri Shankar Temple is just 6 km south of Manali in Jagatsukha, Gulaba is located in Rotang Pass Road and Van Vihar is located in National Highway 21 to Manali. 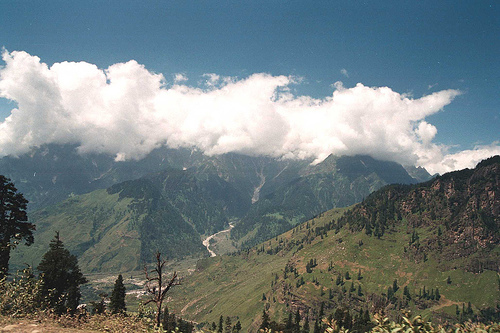 You can also capture the best view of cascading mountains and the gently flowing Beas River. This place gives a feel of standing in heaven. There are many major and minor Hindu temples that have history and culture significance in the twin hill stations of Kullu and Manali. There are certain temples that are in pagoda style. The temples are known for its finest architecture and historical past. Most of the tourist spots and places are rightly nestled amidst towering pine trees and away from the busy town area. All these make you feel of how pampering the nature is for you with a lot of perfection. You can get a better view of Kailash peak from the road to Rohtang Pass. This spectacular hill station gives space for lot of fun and adventure to indulge to a large extent. The scenic beauty of most of the tourist spots and places will really enthrall all with actual wonder related to nature at its best. You can also have view of how a dense forest and its wildlife in hill valley look at every nook and corner of the hill valley region. You can really have a good solid time in the togetherness of your family members. The local people shower best hospitality that is so traditional and world-class in all aspects. You will really wish to come to this particular hill station again and again. This entry was posted in Manali and tagged manali. Bookmark the permalink.